Cool Super Bowl commercials are not a new phenomena. They have been a popular part of the Super Bowl experience for decades. Now those old commercials are coming back to life online. Content streaming service Hulu just launched Hulu Adzone, where Super Bowl commercials dating all the way back to 1973 can be watched. Hulu Adzone has commercials broken down by year, top commercials (chosen by the experts at Advertising Age), Hulu’s editors picks, celebrity cameos, funniest, babies and animals, over-the-top, and fan made advertisements. 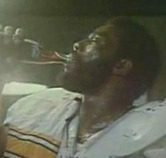 Some of the classics that can be seen through Hulu Adzone include the classic Mean Joe Greene Coke commercial from 1979. The Greene/Coke commercial is ranked number 3 on Extra’s Top 10 Super Bowl Commercials of All Time, where they say it “might be the first truly great and memorable Super Bowl commercial.” A very dated commercial from 1973 includes Farrah Fawcett and Joe Namath for Noxzema shaving cream. There’s also a variety of commercials with the eTrade baby, Betty White for Snickers, the Budweiser Clydesdales, an EDS commercial with cowboys herding cats… and yes, the Darth Vader kid, plus previews of this year’s Super Bowl Commercials. Hulu Adzone will also feature real-time online voting for user’s favorite commercials during Super Bowl XLVI. The winners will be announced the day after the Super Bowl, Monday, February 6.